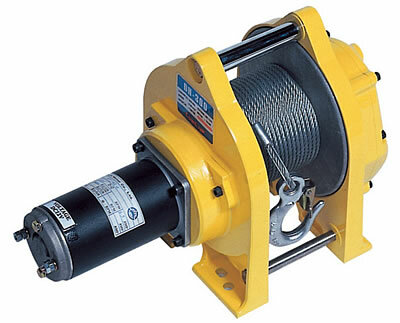 The Comeup 12 & 24 Volt DC Winches are heavy duty winches; ideal for installation in small trucks and utilities to eliminate the need for manual lifting and pulling. They are constructed from heavy duty material which creates a high performance product with low maintenance; suited for a wide range of applications. 12 or 24 Volt options. Strong base for horizontal mounting. Remote pendant control - 4.4m length. Weighted hook on DH500 models. Duty cycle is 25% ED and maximum frequency of 60 times per hour. Circuit breakers are supplied with all models.